The following post is by Jane Bloom Grise, Director of Academic Enhancement and Assistant Professor of Legal Writing at University of Kentucky College of Law, and is sponsored by West Academic. Scott Turow, the best-selling author of One L, compared reading cases to “stirring concrete with my eyelashes.” Students report getting lost in cases and feeling like “idiots” when they read cases. While reading cases may be difficult for students and even practitioners, critical reading skills are important for success in law school and legal practice. Furthermore, empirical research shows that top law students consistently use different reading strategies than lower performing students. However, there are two pieces of good news for law professors and law students. First, it is possible to identify the reading strategies of high performing legal readers. While expert legal readers read cases to solve client problems, novices often just memorize case information. While experts read headings and summaries in order to understand the subject of a case before even beginning to read a case, novices start reading without any information about the case topic. Experts understand that cases are structured in predictable ways, while novices sometimes assume that every case is organized differently. Experts understand the significance of procedural references in cases while novices tend to ignore these terms because they simply have not been introduced to procedural concepts. Experts carefully examine the facts while novices may assume that the facts are not important and not even read them. Experts vary their reading speed while novices read everything at the same pace. Experts look up new terms while novices may skip over unfamiliar words. While experts understand that cases can be interpreted in different ways, novices often look for the “correct” interpretation. 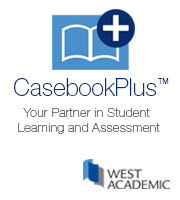 Finally, experts master important skills such as analogical reasoning, case evaluation and case synthesis. Experts also use many of these same skills when they read statutes. They read statutes in relationship to other statutes, examine definitional sections, and understand basic principles of statutory construction. The second piece of good news is that all students can learn the strategies of high performing law students and become effective legal readers. After teaching legal writing for fifteen years, I decided to explore whether critical reading instruction could impact legal writing performance. It appeared that some writing problems were impacted by students’ failure to comprehend the underlying cases they were reading. In 2014, as the recipient of a Lexis/ALWD/LWI Scholarship Grant, I created a reading curriculum tailored to law students and conducted an empirical experiment. Could critical reading instruction improve students’ legal writing? In fact, I found that critical reading instruction did positively impact student writing. Critical Reading for Success in Law School and Beyond is the culmination of this research. It introduces students and new lawyers to the critical reading strategies used by expert legal readers to solve legal problems and represent clients. Critical reading instruction is an important part of any orientation program, doctrinal course, legal writing course, or bar prep course. It is not enough to orient students with an hour of instruction on reading cases and expect students to master the strategies and information needed to read critically. A systematic approach is needed so that students are equipped to read like the legal experts. While we often feel that we do not have time to teach skills and strategies, it is clear that students may struggle if they have not been exposed to important background information about cases such as the purpose for reading cases, the structure of cases, and procedure. Furthermore, students will attain higher levels of comprehension if they master strategies for analyzing language in cases as well as basic concepts such as analogical reasoning and case synthesis. Critical Reading for Success in Law School and Beyond is designed to introduce these concepts in a systematic manner so that all students can become expert legal readers. If we incorporate critical reading instruction into courses, student learning will be enhanced and students will be more prepared to meet the rigors of law school and the practice of law. Is this available for sale? I take a particular interest in reading pedagogy.